Cindy: I wrote Saving Kate's Flowers after my daughter asked me why flowers die in winter. I thought of a story to go along with her question. Using my knowledge about gardening, which I learned from my mother, I wove facts into the story, but kept it fun to read as well. 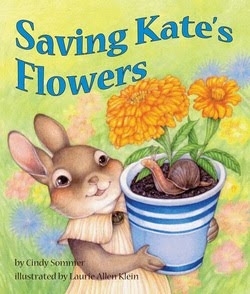 My main character, Kate, a bunny, tries to bring all the flowers into the house. But her daddy is allergic. I also have environmental allergies, so I can relate to the father. I originally wanted Kate to be a human girl, like my daughter. But the editor and illustrator saw her as a bunny. Ever since I saw the first adorable drawings from the illustrator, I loved them. I've had short stories published in children's magazines before, but this was my first picture book. I've sent out hundreds of manuscripts, but this was the first time my story clicked with a publisher. For this book to win an award is so exciting! I couldn't believe my book won. To come out on top of all those other well-deserving books and talented authors was amazing! It means the illustrator and I must have done something right. Without her pictures, my story could not have come to life the wonderful way that it did. To be recognized by your peers means so much. I am proud and humbled to have won this award. It means that I'm an award-winning author! It's a great pat on the back that I've been waiting years to receive. I guess all my hard work has paid off. Thank you so much to all those who voted. I truly appreciate it. Cindy: I've been a member of SCBWI for 17 years. It has made a positive impact on my writing life. SCBWI's informative newsletters, conferences and events keep all writers in touch with other writers and make them aware of what SCBWI has to offer. It also brings authors and illustrators together for events. Writing is a lonely job, and meeting others who think like you do helps to stir our creative spirits. I've learned about writing courses, new publishers, and how to improve my writing through SCBWI's newsletters. They offer a plethora of information all geared to helping authors and illustrators be successful. Their website offers even more information. You never know what useful tidbits you'll find. 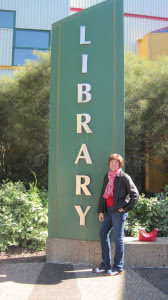 Cindy: My advice would be to keep reading books in the genre you want to write in. Keep writing and working to improve it with classes, and joining a writer's group. I know it is hard to do, but you need to be able to handle criticism. You need to read your stories to other authors. Most stories need revising. How can you fix errors if your story isn't heard by anyone? You have to put it out there. Sometimes you are too close to your story, you can be blinded by it's good qualities. You may not be able to see the awful ones that are ruining the story. You can't expect to be successful right away. It takes work. Look for a topic a publisher hasn't done yet, and try to fill that hole in their list. Don't give up! No matter how many rejections you receive, if you are passionate about a story, keep working on it until it's perfect. If it keeps coming back, work on it some more, and send it out again. Eventually someone will see what you see, and who knows? Maybe you'll be lucky enough to have an award-winning book! A lot of it has to do with luck, and submitting to the right publisher at the right time. If you don't give up, and you keep trying, you too can make it happen. Thanks, Cindy, and congratulations again on Saving Kate's Flowers winning the Crystal Kite Award! One of the most thrilling parts of attending #LA17SCBWI as an illustrator is an opportunity to show your work alongside your peers at the Portfolio Showcase. Find the guidelines for submission here. In addition to the satisfaction of putting your hard work together and sharing it with the world, the showcase also presents opportunities to win awards and scholarships — for all levels of experience, from student to seasoned professional. As a former mentorship winner, I can’t speak highly enough about this opportunity. A portfolio mentorship entails the opportunity to get detailed, focused feedback from the conference Illustration Faculty during the conference. Consider more than just the technical specifications when you enter your portfolio in this show; each judge and visitor comes to the portfolio show with her own sense of what she is looking for. Susie: Please tell us a little bit about yourself. Jennifer: I'm a senior agent at Andrea Brown Literary Agency. I rep authors and author-illustrators for books from PB through YA. Susie: How much of your roster is made up of illustrators (as opposed to authors, and author-illustrators)? If you’re primarily interested in author-illustrators, do you want to see a book dummy? 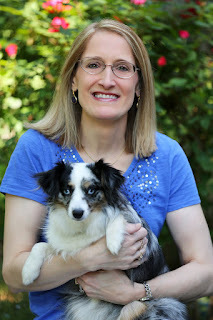 Jennifer: My own list is primarily authors - I do rep about 15 author-illustrators. I'd be open to somebody who was "just" an illustrator, but might have goals to be an author as well. As an agency we rep about 100 illustrators - you can see our roster here. If you are querying an author-illustrator piece, I'd want to see the text, a sketch dummy, and a couple of finishes. Susie: When browsing the portfolio show, what are some of the key things you look for (as an agent, or as a judge)? Jennifer: I like a strong sense of MOVEMENT in illustration - dynamic pictures, rather than static. I like a picture that really tells a story, rather than just being a beautiful image or decoration. The thing is - lots of people are good at design and good at drawing, and might make swell editorial artists, or be great at surface design, textiles, cards, etc... but that DOESN'T automatically mean that they will be awesome at children's book illustration. Susie: What’s something you recommend for the portfolio that illustrators might not think of doing? Jennifer: It can be very helpful to see a couple of page turns. If you aren't an author, consider doing a couple of spreads from a well-known fairy or folk tale in your own way. Don't forget - illustration isn't JUST for picture books! It can be fun to see how an artist might approach book jackets and/or b+w interior spot art. If these are things that appeal to you, you might find your own way to interpret a "classic" book jacket or iconic literary scene. 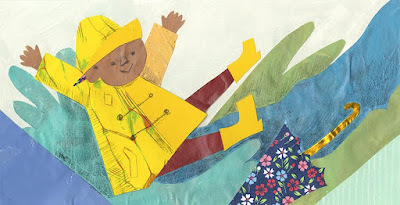 Susie: What are common portfolio or book dummy missteps you recommend illustrators avoid? Jennifer: I think sometimes illustrators put in everything and the kitchen sink just so the portfolio is "big" but some pieces are obviously of lesser quality, or in a more amateur style, etc. I'd rather have fewer pieces of higher quality, than a portfolio bursting with filler. Susie: What subjects would you like to see appear more in portfolio pieces? 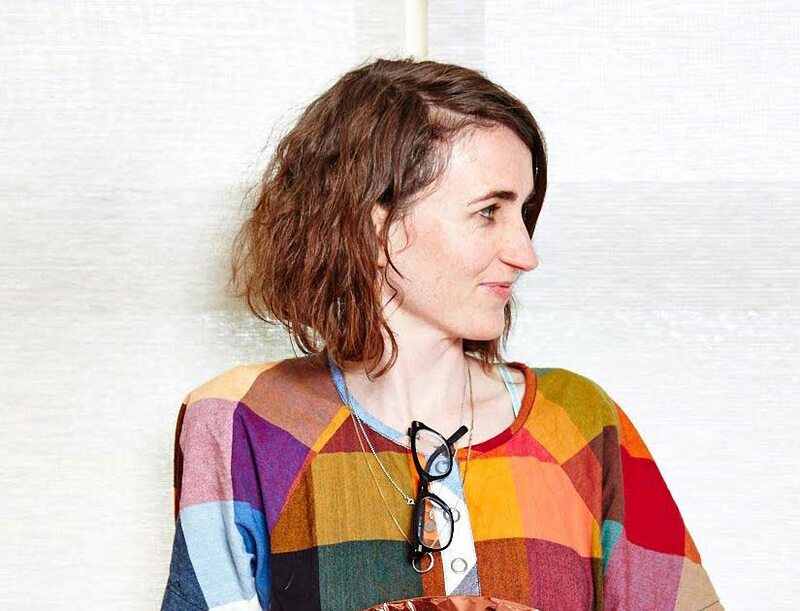 Jennifer: For illustrators doing humans, I'd like to see diversity. 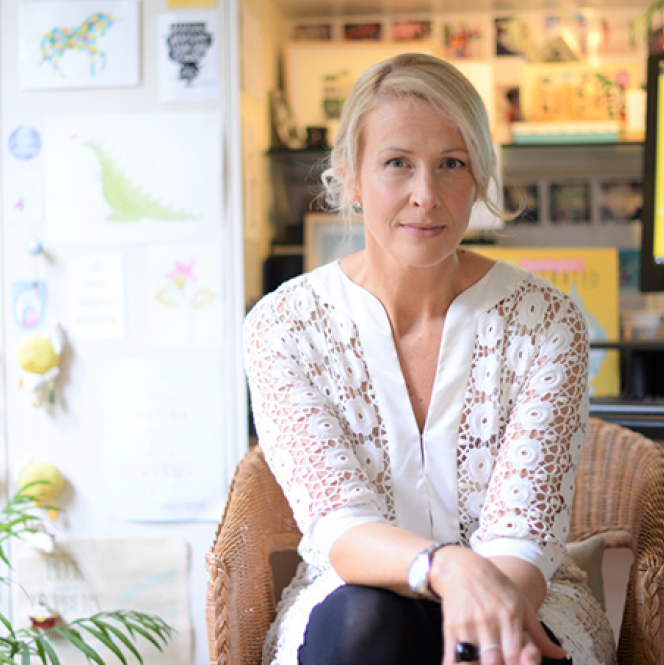 Susie: As an agent, what do you look for in a takeaway promo piece? Jennifer: I look for pretty art and contact information. And if you are already agented PLEASE put your agent info on there, too. Susie: Any other general SCBWI conference advice? Jennifer: Have fun. Stay sober. Drink lots of water. Susie: Thank you, Jennifer! Good luck to all the illustrators working hard to be part of this amazing show! For more portfolio advice, visit the SCBWI conference mentorship alumni blog, KidLitArtists here. And this post on the SCBWI site, Portfolio Tips From SCBWI Mentorship Winners. Registration is still open - get all the details on the 2017 SCBWI Summer Conference, July 7-10, here. The Neal Porter Podcast Is Live! SCBWI Members, make sure to check out our latest podcast, A Conversation with Neal Porter. 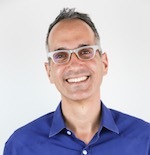 Covering how a background in theater paid off in picture books, the many different roles of an editor, the business of children's books… and where it's going! 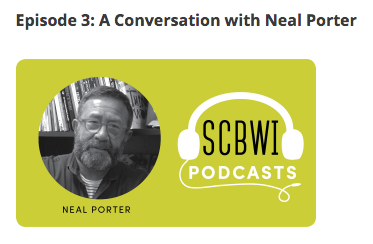 Join Neal Porter, Editorial Director of Neal Porter Books at MacMillan's Roaring Brook Press, in a one-on-one conversation with Theo Baker. Everyone can listen to the trailer here. Members can log in at scbwi.org now and then navigate to the episode [Resource Library --> Podcasts] or click here to listen to the full episode! 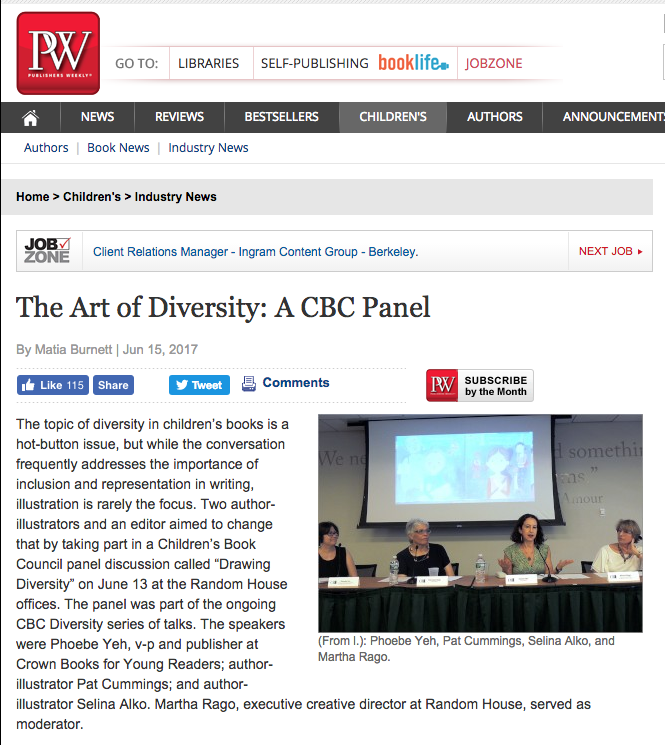 As reported by Matia Burnett at Publishers Weekly, on June 13, 2017 at Random House's New York offices, the Art of Diversity panel took place. Moderated by Martha Rago, executive creative director at Random House, the panelists were Phoebe Yeh, v-p and publisher at Crown Books for Young Readers; author/illustrator Pat Cummings; and author/illustrator Selina Alko. Lee: Congratulations, Janet! Please tell us about your Crystal-Kite winning book! Janet: I must begin with what this award means to me. 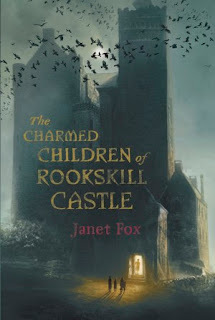 I wouldn't be a published author without SCBWI, so the fact that my fellow members in the western states voted for THE CHARMED CHILDREN OF ROOKSKILL CASTLE is both humbling and thrilling. I'm deeply grateful. THE CHARMED CHILDREN actually began as an SCBWI story, for it was one of my friends from the Houston region who posted an image on Facebook that formed the kernel of inspiration. The image was that of an 18th century piece of jewelry called a chatelaine, and the instant I saw it, that chatelaine drew me in because it was so peculiar. Originally a chatelaine was a ring of keys to the chateau, or castle, worn dangling from the belt of the keeper of the keys. As time went on, the chatelaine changed composition. Most later chatelaines contained useful trinkets, like my protagonist Kat Bateson's chatelaine: scissors, thimbles, and pens were common. Other chatelaines were like a charm bracelet for the waist, with small charms that would be significant to the wearer. The chatelaine my friend posted (which you'll find as an image in the book) contains some reasonable charms, like a dog, cat, heart, and anchor. But...what about that eel? The hunchback boy? And oddest of all, the hand-sign that was used to ward off evil...and the mystical number 13? It struck me that this peculiar chatelaine, which in my story is worn by the Lady of the Scottish castle where the story is set, is a stand-in for magic and mystery and that Kat’s chatelaine is a stand-in for all that is normal and useful. What happens when magic - especially evil magic - goes up against something practical? Which object contains more power? And why? As I developed the story, it seemed only right to place it in Europe, so I chose England during the early days of World War 2 in homage to one of my favorite childhood series, the Narnia books. Kat and her siblings are sent from their home in London to escape the Blitz in the fall of 1940, and they land in that Scottish castle that purports to be a school, but is in fact a place of terrible danger. The novel is a mix of magic, mystery, the war, spies, ghosts, steampunk, fairy tales, fantasy, and most importantly family. 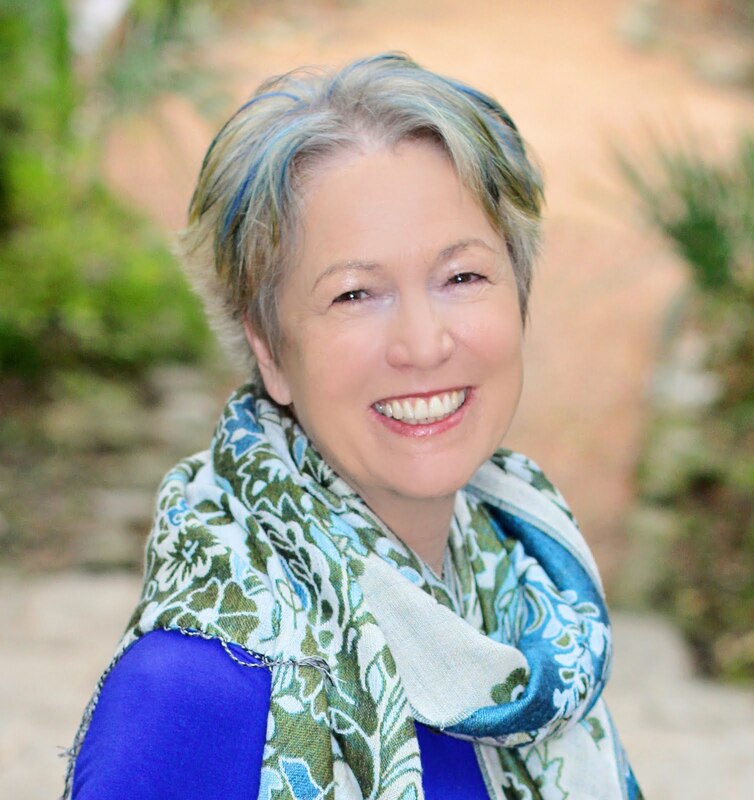 Janet: I've been an SCBWI member for almost 15 years, and there is no question that my involvement with the organization has been the springboard for all of my successes. When I first began writing for children, we had just moved to College Station, Texas. While Texas was not a natural habitat for this New Englander, I couldn't have landed in a better place. For one thing, I met Kathi Appelt early on, and she introduced me to the local writing community, to SCBWI, and she became my mentor and dear friend. She encouraged me to attend Vermont College of Fine Arts for my MFA, and when I was at my lowest point, she gave me feedback on an early draft of THE CHARMED CHILDREN OF ROOKSKILL CASTLE that kept the novel - and my writing career - alive. 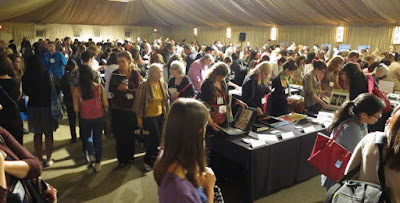 The SCBWI conferences I attended around the state of Texas were crucial to my understanding of both craft and the children's publishing market. I met my first and current agents at SCBWI conferences. I grew as a writer through the support of my SCBWI critique partners. After a few years of volunteering I became the Regional Advisor for our small Brazos Valley region, and served for seven years. I consider my SCBWI family in Texas and now in Montana, where I'm currently the assistant Regional Advisor, as invaluable and precious. When I attended my first New York conference my appreciation for the organization expanded, with the wealth of information presented and the generosity of other SCBWI members and regional advisors. I still remember the feeling of being an unpublished newbie in that huge conference hall, yet I was warmly welcomed by the more experienced members of the organization. The kidlit community is exceptionally welcoming, and SCBWI serves to gather and foster that community. Janet: I've been writing for many years, and have experienced my share of both ups and downs. So my first piece of advice is don't quit. Learn the craft, practice what you learn, and keep growing. Write, every day if you can. Write across genres, even those that are hard for you to write. Engage with this fantastic community of writers, who will support you. And remember to give back. Write from your heart. You have a unique story to tell, and the world is waiting for it. Thanks, Janet. And again, congratulations! The Diversity Social -- a partnership between We Need Diverse Books and SCBWI -- is another great reason to attend SCBWI's 2017 Summer Conference in Los Angeles, CA, this July 7-10. Lee: Why is this so important to you? Linda Sue: I am on the Board of Advisors for both SCBWI and WNDB. They are the two organizations nearest and dearest to my heart. I firmly believe that together, we're an unstoppable force for helping young readers grow up to save the world. Alex: Children are learning what's in the world and what to think of it. Kids who are marginalized for their gender, race, religion, disability, language, sexuality, socioeconomic status, and/or family structure deserve to see themselves represented well in literature. And kids with privilege in any of those areas who read diversely are more likely become adults with compassion, which we as humans sorely need more of. I appreciate WNDB's broad vision of diversity, and our approach of addressing the need for increased diversity at every level of the publishing industry, from writers to publishers to booksellers and librarians to readers. And the more good diverse literature is available, the more those readers will turn into writers and publishers and booksellers and librarians. Miranda: The diversity social is important to me because diversity is an important issue, period. Representation in books is a matter of social justice. Event after event from diversity campaigns lead to connections, and opportunities, and ultimately books that build empathy in our citizens. As a child, I grew up with characters who looked like me, but what about creators who are still overcoming a lack of childhood representation? The creators who will attend this event are making books for my children, who unfortunately don't have the same random chance to see themselves represented as I did. Every event WNDB and SCBWI does can help turn the tide, even if it's only a small amount. The audiences we write for are young and forming their identities. Our literature needs to honor and reflect the lives, stories, and experiences of all young people. Every event that helps to support diverse book creators ultimately helps children be more able to find books that speak to them or open their minds to others' experiences. Lee: Why it should be important (or should it?) for every creator of content for kids and teens attending the conference? Linda Sue: The goal is for children's books to accurately include and reflect the glorious diversity of children in this country. Until then, creating, publishing, bookselling, and sharing books will always be fraught with questions of representation and fairness. Only when we reach the point of true inclusion will we ALL be able to create and publish with total freedom. The long game: Creating a diverse landscape in children's literature BENEFITS EVERYONE. Miranda: I don't think it's important for every creator of content for kids and teens to attend this event. I do think that diverse writers and illustrators, outspoken and considerate allies, and publishing professionals who are looking to acquire more #ownvoices material should definitely come. You're not alone! Lee: What are your hopes for the social? 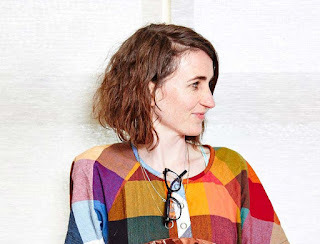 Alex: My hope is that the social will connect burgeoning and unpublished diverse writers and illustrators with information about WNDB and our programs, including our grant and mentorship programs, as well as with authors and illustrators working in the field. I also hope that writers and illustrators interested in learning more about WNDB and possibly getting more involved with what we do will take this opportunity to drop in, meet us, and ask questions about what it's like working with WNDB. Miranda: I hope the diversity social at SCBWI's Summer conference helps attendees to kickstart new relationships or bolster previous acquaintances. Writing or illustrating books and navigating the publishing industry are not easy feats, but especially so if you're someone who is consistently in the minority at writer's events. Most creators work in isolation, and have questions about craft or business that are best answered or explored through relationships with experienced professionals. But how does one gain access to professionals who might have been through similar experiences or be writing from a similar viewpoint? The idea of gathering like-minded individuals in one room will allow some of those relationships to naturally begin through shared experience, heritage, or identity. 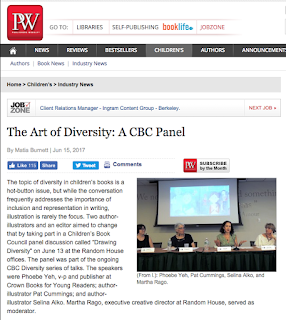 SCBWI and WNDB, among many organizations, have been working to change the dismal diversity statistics in children's publishing. We've moved beyond hosting panels stating that we need diversity—we all know and agree. Our initiatives have shifted to taking action. I have no doubt that POCs, writers with disabilities, or those from or focused on underrepresented populations in children's literature will benefit from making connections in this casual setting. 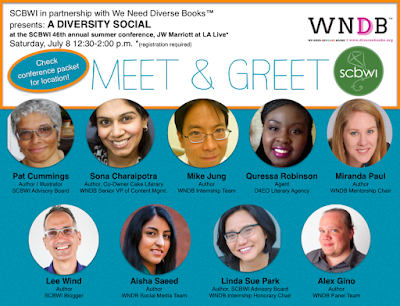 Get all the information about #LA17SCBWI here, and learn more about We Need Diverse Books at their website, here. Lee: Congratulations Pat! Please tell us about your Crystal-Kite winning book! I wrote a first draft after being inspired by Jacqui Robbins’ and Matt Phelan’s THE NEW GIRL ... AND ME and its take on friendship. I’d also been hanging around my youngest daughter’s school, and the voices of the kids had gotten stuck in my head and made their way into my manuscript. This draft was titled THE FASTEST FEET ON FLEET STREET and had two girls competing to see who was the better runner, jumper and rope-skipper. I sent the draft to my critique partners and revised based on their suggestions. Then, I took the manuscript to the Rutgers One-on-One Plus conference. Chelsea Eberly from Random House turned on a huge light bulb for me by suggesting a historical angle. I decided to set the story in 1960, when African-American sprinter Wilma Rudolph won three gold medals at the Olympics in Rome. I rewrote the story so both girls idolized Wilma and wanted to be just like her. The story went on submission and the inevitable rejections arrived. But then, I received a note from Chronicle Books, saying they liked the story, but thought there wasn’t enough Wilma Rudolph. I did more research and learned Wilma grew up in Clarksville, Tenn., which was still segregated in 1960. Blacks and whites went to separate schools, saw separate doctors and ate at separate restaurants. 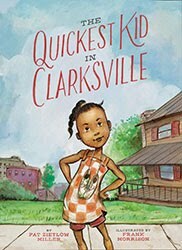 But after Wilma’s Olympic victories, Clarksville wanted to throw a victory parade. Wilma agreed, if the event was integrated. So that parade was the first integrated event in Clarksville history. Knowing that, I moved my story’s setting to Clarksville and had both girls attend Wilma’s parade. I removed the jumping and rope-skipping elements and had the girls’ competition focus only on running events loosely patterned after Wilma’s three Olympic events. And the title became THE QUICKEST KID IN CLARKSVILLE. And THAT was the book that sold to Chronicle Books and won the Midwest Region Crystal Kite. Lee: Love learning the story behind your story! How long have you been involved with SCBWI, and can you share what you feel you’ve gained by being a member? Pat: I’ve been an SCBWI member for almost 10 years, and it’s been invaluable to my writing career. I still remember how nervous I was at my first event. I sat in back rows and lurked in corners, worried that someone would discover I didn’t belong and ask me to leave. After that first conference, I met people, joined a critique group and kept coming back. I learned a ton from the other aspiring writers and the published authors, agents and editors I encountered. And, when I finally sold my first picture book after 126 rejections, everyone celebrated with me. That support continues today. SCBWI is a spot where writers, illustrators and children’s book lovers at all stages of the journey can interact, learn from each other and revel in the wonder of children’s literature. The state and national conferences are great, but there also are online opportunities and local events. At $80 a year to join, it’s a bargain. · Read everything you can in every spare moment you have. Never stop doing this. You will never have read enough. · Write and rewrite and repeat. This is an infinite loop you will never escape. · Write something new and try to be better. · Don’t take rejections personally. Use them to learn where your manuscript needs improvement. Thanks, Pat! And again, congratulations! "For you and other writers, you know that the magic is in the momentum, right? If you're coming to the page every day your characters are becoming more alive and interesting, you're connected to the guts of the thing in a way you never are if you're just trying to parachute in every weekend and kind of try and remember who are these people again? Lee: Congratulations Tania and Jess! Please tell us about your Crystal-Kite winning book! 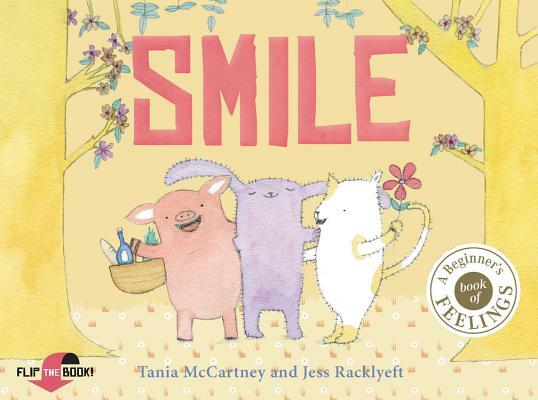 Tania: Smile Cry is an early childhood picture book that looks at emotion in a creative, nuanced and accessible way. Its flip-book format features two episodic narratives, one about smiling and one about crying—with the two meeting in the middle. It highlights the many shades of grey when it comes to feeling happy and sad, with scenes carried by an adorable trio—cat, bunny and piglet. Working with Jess on this book was heavenly. She really understood my desire to access the emotional responses of very young children, and show them that feelings are never black and white. Her dreamy watercolour illustrations carry the story so beautifully, and I’m thrilled to be working with her on two further books—one a follow-up to Smile Cry entitled See Hear. Winning the Crystal Kite for our region was totally overwhelming. To receive this nod from industry peeps who know books inside out, upside down and with purity of heart—it’s an absolute honour, and a thrill for our little book. Jess: A few years ago, I was an active part of a Facebook illustration group called the 52-Week Challenge, dreaming of illustrating picture books (something I had hoped for since I was a child, scrawling with crayons and pasting glitter everywhere). Tania and the publisher, EK Books, announced a competition to find an illustrator for Smile Cry, and provided a few lines of text for entrants to illustrate. I immediately came up with the three characters and a soft, dreamy look to illustrate the text, then nervously posted it in the group Facebook page. You couldn't imagine my surprise when I found out I had won the opportunity, and even more surprised that the same month I got a call from another publisher to illustrate another book—it was like my long-held dream had finally bubbled to the surface, and exploded glitter! Working on the book was just so much fun with the publisher and Tania, and we bounced ideas around the three of us the whole time. When I received my advance copies, I was so thrilled to have something tangible, and we are currently working on the next book together—just as much fun, and a real collaboration, which has worked so brilliantly. Tania and I have also gone on to work together with another publisher, and I'm busily working as a freelance children's book illustrator as a pretty much full time job now. A total dream come true. It was such a thrill to receive the Crystal Kite for this award, and we were also honoured to have it achieve Notable Book in the Children’s Book Council of Australia’s annual awards. It gave us such a boost to know our writing and illustrating community cheered for our work—a fantastic and supportive community indeed. 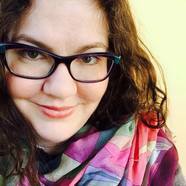 Tania: I’ve been a member for around 6 or 7 years, and for me, SCBWI membership is priceless. Many of my memberships are about industry or gatekeepers. SCBWI is all about the creator. Not only are the resources phenomenal, the comradery, support, networking, opportunity and creative inspiration is everything. Everything! Jess: I've been a member for several years (I think around five? I've lost count!) and I've found it so beneficial for several reasons. I work from home, and to have the opportunity to attend SCBWI events quarterly and catch up with the other members has been invaluable and inspiring; I've been lucky enough to have a few drawings in the fantastic magazine that SCBWI creates (I love reading it too! ); and I've had my portfolio shared with Australian publishers via the SCBWI conference. I love the website and the great resources that can be found there. Tania: Get industry involved. So many of us tend to focus on our market and our peers, and while this is important, industry nous and backing will exponentially forward your career. Start something. Share something. Be there for others. Teach, review, blog, be a judge, present and speak. Be an innovator and an inspiration. Go to festivals and conferences and book launches and other industry events, and be sure to invest in memberships with children’s book organisations in your region. Not only is it smart, it’s fun. Your career will grow, and you may just make some incredible friends. Also—invest in your craft. Those seemingly endless hours will leave an indelible mark on your skillset. And, of course, it’s never, ever ‘work’! Work with heart, and work on only what you love. Oh—and shine. Always, always shine. Jess: My main advice is perseverance! It can feel like a long battle (and for me it was/is) but by working on my craft every day, meeting experienced writers and illustrators, as well as networking with the SCBWI community, you keep chipping away and moving forward towards your goal. And the good news is—the battle is a fun one! There are so many good folk in the industry who are there to support you and share their experience, as well as share a wine with. Thanks to you both, and again, congratulations!